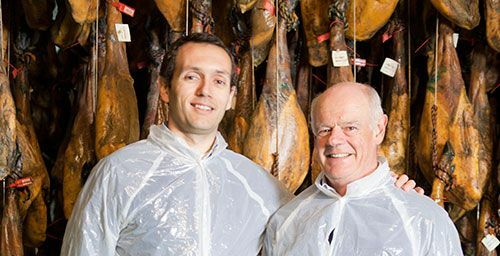 Buy Guijuelo Spanish ham artisanally sliced, produced and healed in Guijuelo,obtained from Iberian pigs raised and fed in freedom in Extremadura and Andalucía. VAT included and Free delivery for all destinations in Spain (peninsula)! We deliver to all European Union. Buy iberian Guijuelo ham artisanally sliced. This ham is produced and healed in Guijuelo, from Iberian pigs (50% iberian breed) born and raised in freedom in Extremadura and Andalucía fed with natural grasses and cereals. 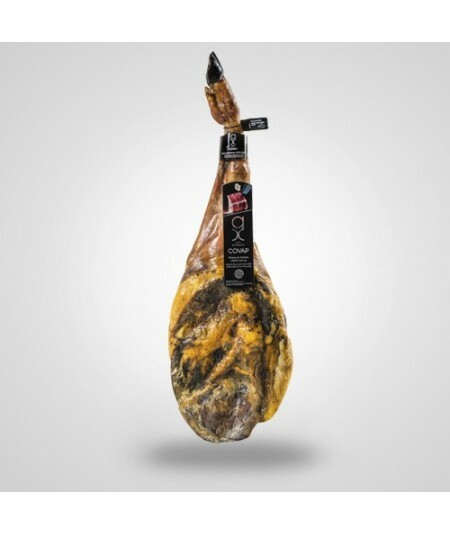 This delicious pata negra ham from Guijuelo has been produced following artisanal recipes and procedures in combination with the most modern techniques and highest quality levels. The combination of a unique location at Guijuelo, tradition and experience over more than 100 years and exceptional DNA quality of these Iberian pigs born and raised in Andalucía and Extremadura dehesas result in these unique pata negra hams. This set is made of one single ham that has been hand-sliced resulting in approx. 20 packages of 150 grams of spanish ham. We fully recommend you to open the packs 30 min before enjoying the ham, and leaving them on a plate at room temperature to fully taste its flavour and aroma. Remember you have to preserve in the refrigerator but not to freeze it. We, at www.jamonypico.com, will always deliver all our Spanish hams to all our clients in the European Union. Our logistic company delivers all our products to Spanish destinations in less than 5 working days. The delivery to the rest of the European Union countries will be approximately 10 working days. The exceptional weather conditions at Guijuelo and tradition and expertise of Juan Martín Herrero family besides the top quality of these Iberian pigs born and raised in Andalucía and Extremadura dehesas result in these unique Spanish hams. We, at www.jamonypico.com, will always deliver all our Spanish hams and shoulders to all our clients in the European Union. 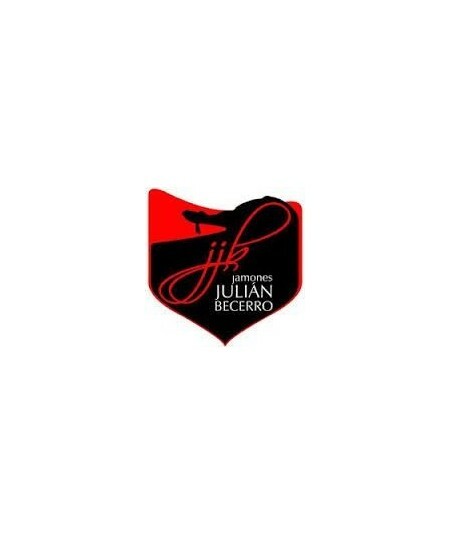 Our logistic company delivers all our delicatessen products to Spanish destinations in less than 5 working days. The delivery to the rest of the European Union countries will be approximately 10 working days.